Surgical technical skills for urethroplasty can often be learned fairly quickly by the trainee. The difficult skill to acquire, which often requires years of experience, is proper pre- and intraoperative decision making. Herein we detail how to accurately evaluate urethral strictures by imaging, cystourethroscopy, and physical examination. 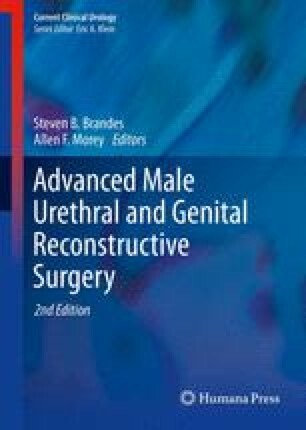 Operative tricks and tips, patient selection, timing of surgery, patient positioning, and surgical technique specifics are elaborated. Key aspects of anterior and posterior urethroplasty are also detailed.